If you’re like me, you’re constantly on the go! Between a hectic day job and running a busy blog, it seems like I’m always running short on time -- especially in the evenings. I like to serve a tasty dinner for Michael and I to enjoy together, and I especially like finding ways to save time in the kitchen without sacrificing flavor. 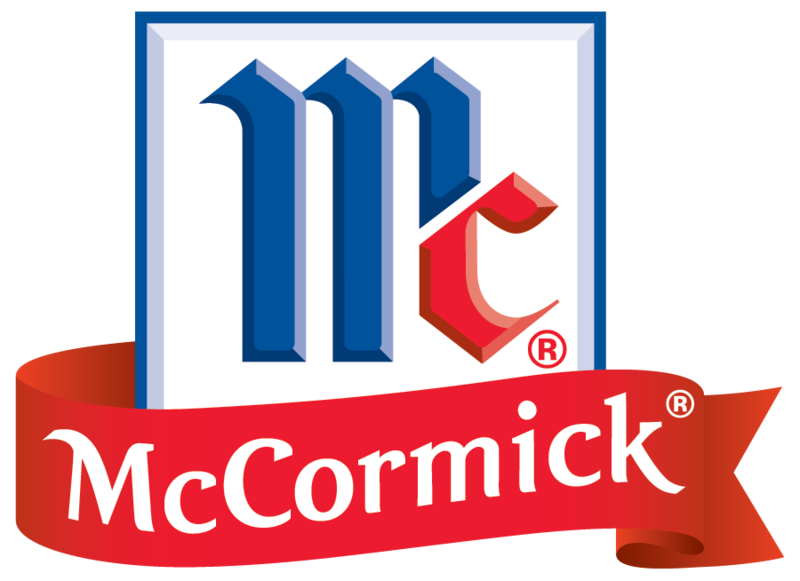 Enter McCormick’s new line of tasty and convenient Skillet Sauces! 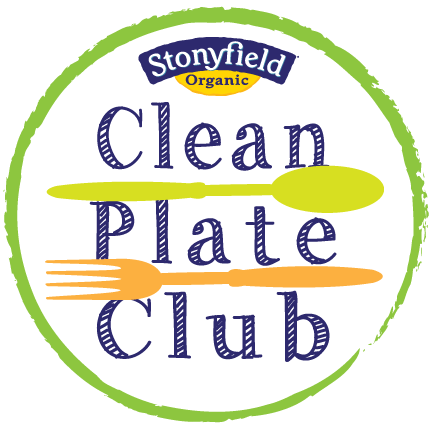 They’re partnering with #SundaySupper this week to showcase flavorful quick-cook meals. McCormick’s line of seven skillet sauces provides the flavor and spice. You simply add meat or other fresh ingredients, and you’ve got dinner in about 30 minutes! I received several flavors of the Skillet Sauces to try, and the Sweet & Smoky Sloppy Joes flavor immediately caught my eye. 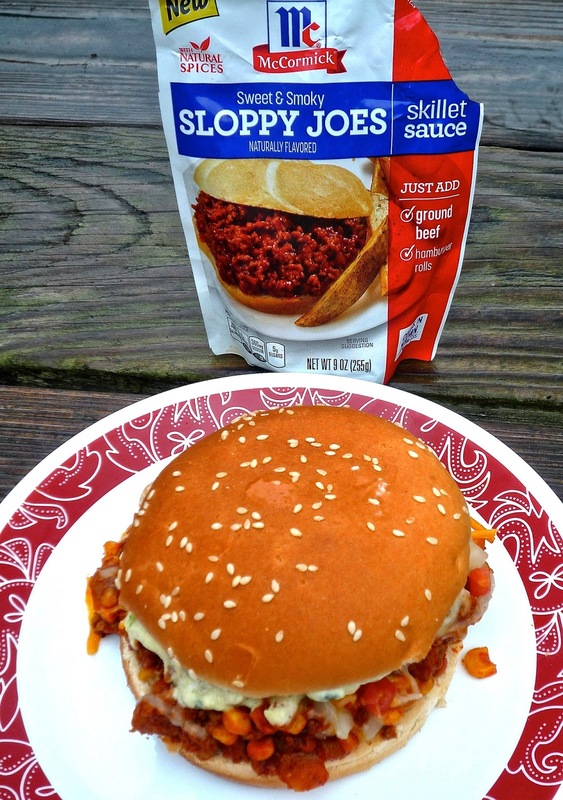 I’ve loved sloppy joes since I was a kid...and I still love them today! I used this sauce to create smoky, slightly spicy Tex-Mex Sloppy Joes. The Skillet Sauce is made with natural spices and ingredients. 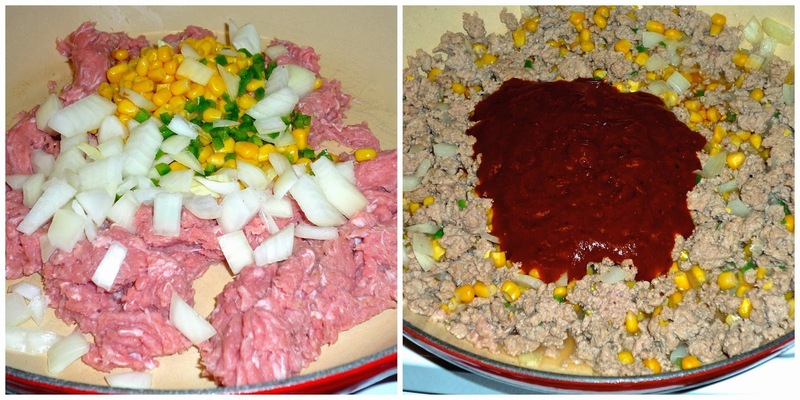 All I had to do was add some lean ground turkey, corn, jalapeno, and diced onion. While the meat mixture simmered on the stove, I had time to make the creamy, cooling avocado spread. Add some pico de gallo and shredded cheddar, and you’ve got the perfect dinner on a bun! Step 1: Add the ground turkey to a non-stick skillet over medium heat. When it begins to brown, add the corn, onion, and jalapeno. When the meat is completely cooked and the veggies are softened, add the McCormick Skillet Sauce. Stir to combine and lower heat to med-low. Let the meat mixture simmer while you prepare the avocado spread. Step 2: Add the avocado to a mixing bowl and mash with a fork until it’s mostly smooth. Add the sour cream, salsa, onion, garlic, lime juice, cilantro, and salt & pepper to the avocado. Stir with a sturdy spoon until a creamy, slightly chunky spread is formed. Step 3: To assemble the sloppy joes, place the bottom half of each bun on a plate. Top with 1/5 of the sloppy joe mixture -- I find an ice cream scoop works nicely. Next add the cheese so the heat from the meat melts it a bit. Top the cheese with a tablespoon or two of the pico de gallo. 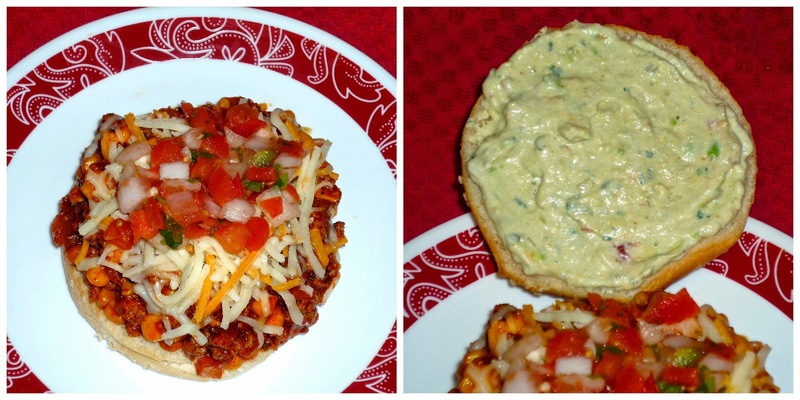 Finally, add the avocado spread to the top of half of each bun and place on top of the sloppy joe. Serve these hearty sloppy joes with tortilla chips and salsa -- and lots of napkins! We found that the tortilla chips served on the side work perfectly for scooping up any sloppy joe mixture that happens to fall on your plate. This Tex-Mex spin on a comfort classic is full of robust flavors that kids of all ages will enjoy. The McCormick Skillet Sauce provided tons of great flavor and spice to the meat mixture. I loved that I simply had to pour it from the pouch and combine with the meat and veggies! The melted cheese helps the sloppy joe to not be quite so sloppy, holding the meat in place just a bit. The pico de gallo is a bit spicy, but the creamy avocado spread cools things off nicely. Put it all together, and you’ve got one great sandwich! For other great quick-cook meal ideas, be sure to follow McCormick’s Easy Skillet Dinners Pinterest Board. 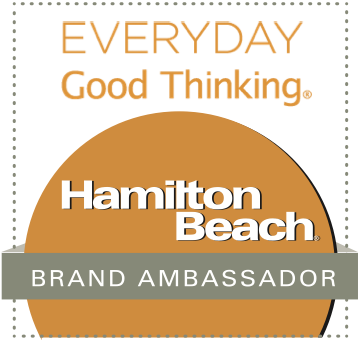 You can also follow McCormick via Instagram, Pinterest, and Facebook. to learn more about spices and get even more great recipes. 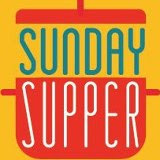 While you’re at it, take some time to go visit the rest of today’s #SundaySupper participants. They’re sharing lots of great recipes featuring Tex-Mex, Asian, and Italian flavors using delicious McCormick Skillet Sauces. Be sure to join in the #SundaySupper conversation on Twitter today! 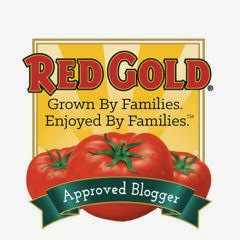 We tweet throughout the day and share great recipes from all over the world. Our fun and lively weekly chat starts at 7:00 pm ET/6:00 CST. Be sure to follow the #SundaySupper hashtag -- and remember to include it in your tweets -- to join in the chat. To get more great Sunday Supper Recipes, visit our website or check out our Pinterest board. Would you like to join the Sunday Supper Movement? It’s easy!! You can sign up by clicking here: Sunday Supper Movement. These would be a favorite in our house!